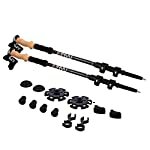 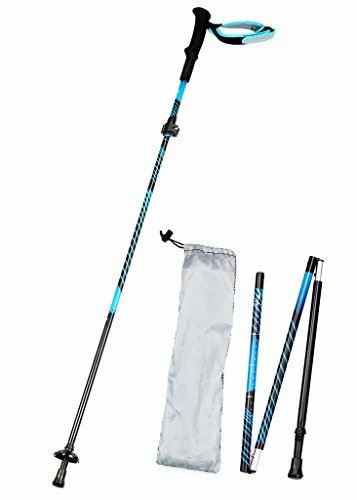 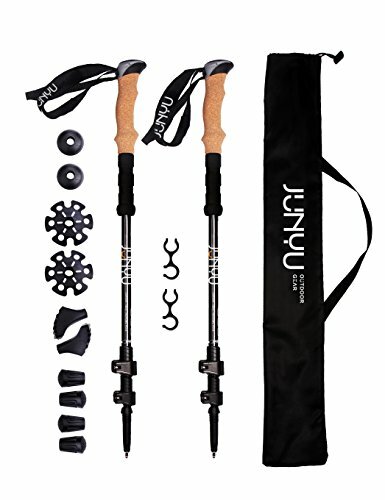 *100% CARBON FIBER* – JUNYU Trekking Poles are Made of 100% Carbon Fiber to Ensure the Products Much More Durable, Lightweight & Anti-shock Compare to the Aluminum Poles. This is 100%, not the Cheap and Low Quality one Which is a Mix of Carbon Fiber and Aluminum. 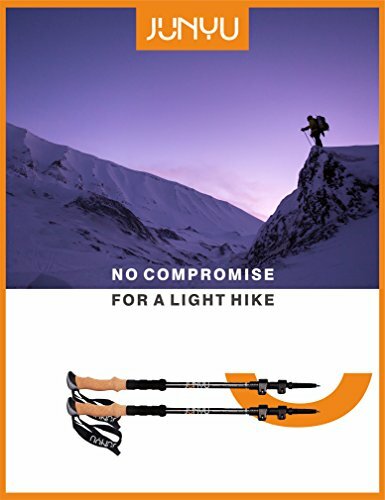 *ULTRA LIGHT* – Due to the Material, Our Hiking Poles are 7.05 Ounces Each and 14.1 Ounces 1 Pair. 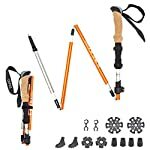 With the Necessary Accessories it could be under 1 Pound! 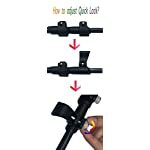 Help You Save Energy so Get Higher & Farther. 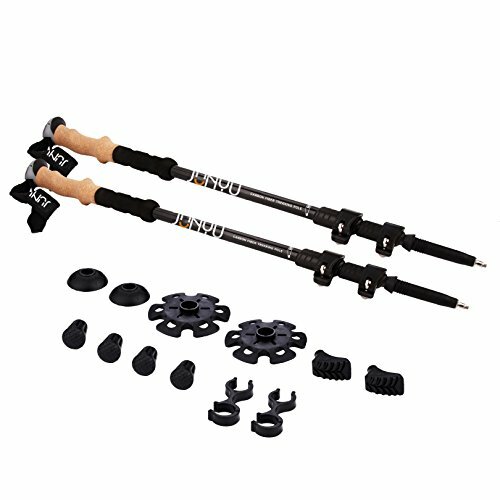 *ONE SIZE FITS ALL* – Users can Adjust Pole’s Length Quickly and Easily While Firmly Holding its Position with the Quick Lock Technology. 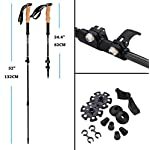 Retractable from 24.4 ” to 52″, This is the Exact Trekking Poles which is Perfect Fit for Men, Women or Kids, No Matter You are Short or Tall. 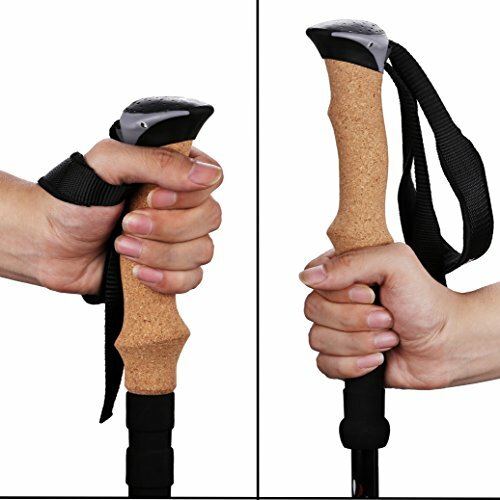 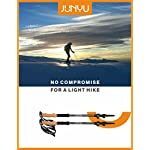 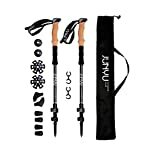 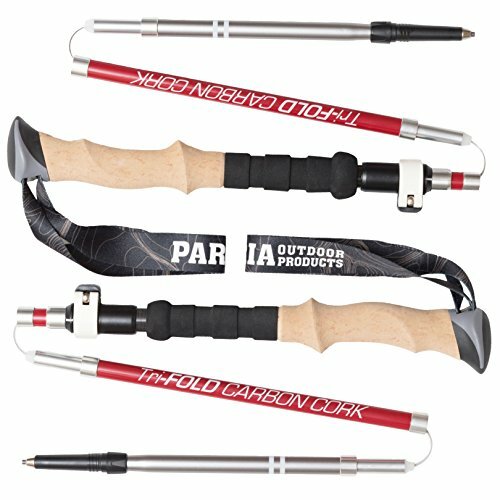 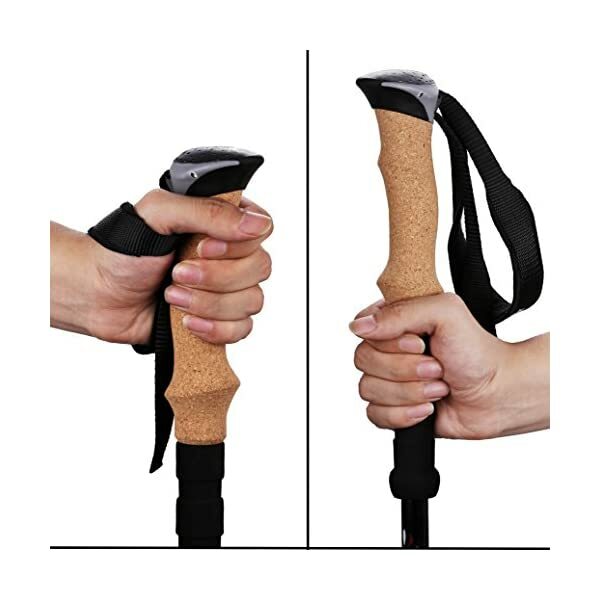 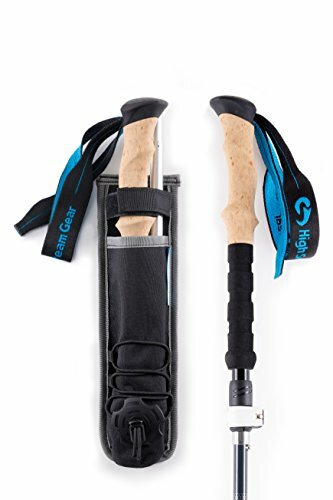 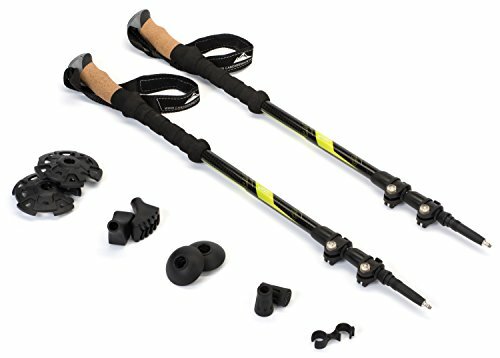 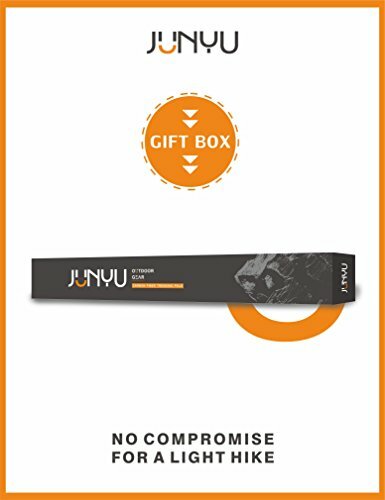 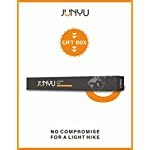 *ALL TERRAIN ACCESSORIES* – JUNYU Hiking Poles Carrying with Helpful Attachments for Your Conquest of Any Tough Situation. 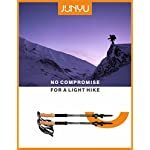 Including Tipped Protecting Ends, Removable Rubber Ferrules, and Mud baskets Snow baskets. 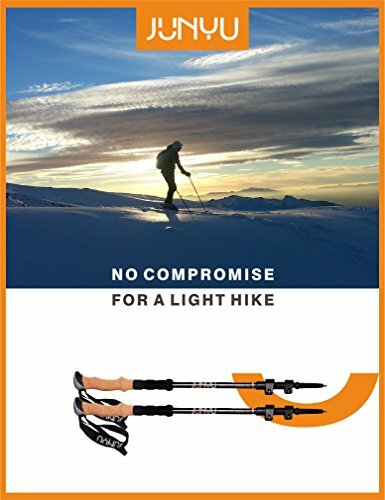 *NO DOUBT 30-Day RETURNING POLICY* – No Questions Asked, Money Back Guarantee. 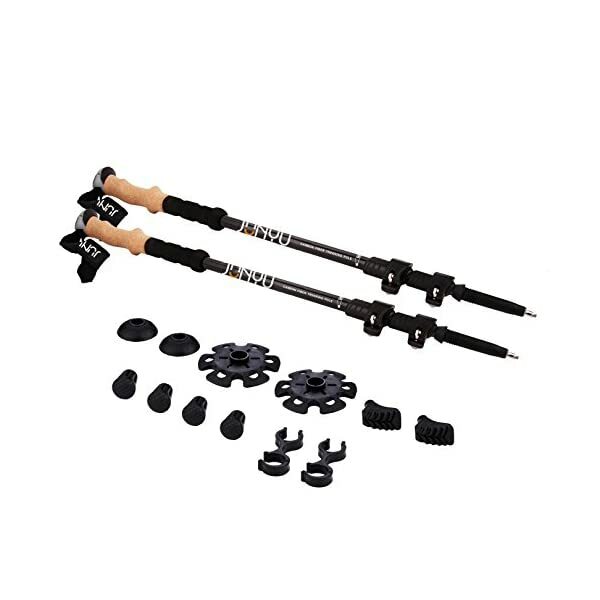 If You’re Not 100% Satisfied with Our Trekking Poles, We’ll Give You Your Money Back. 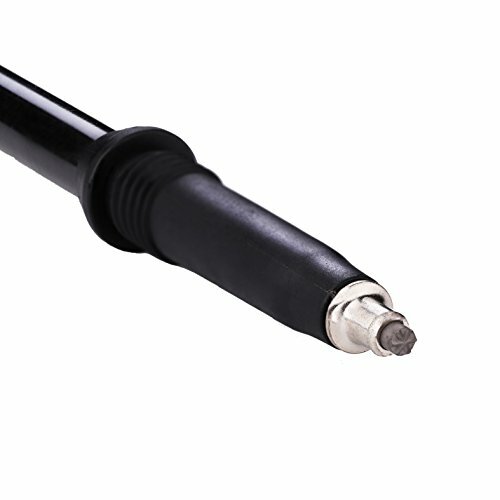 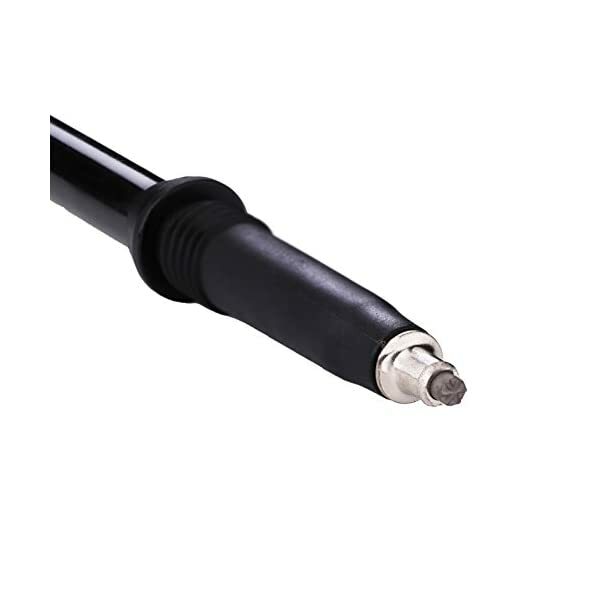 The Quality of Products is the Source of Our Confidence, Providing Safe Purchasing for You.